Today there are an estimated 800 downtown business districts in the United States in communities ranging in population from 1,000 to over 8 million. In the 1970s suburban shopping malls were draining the life out of downtowns around the country. Retail businesses and offices in center cities were either closing or moving out to the periphery. They left behind places plagued by crime and arson, deferred maintenance, and abandoned properties. Downtowns were in crisis and planners, developers, preservationists, property owners, and city officials diligently were looking for ways to turn the situation around. Among the tools developed to draw activity back to Main Street was the Downtown Business District or Business Improvement District (BID). Now, nearly forty years later, as downtowns have faced a different kind of threat -- that of a nation-wide economic downturn -- it is time to take a look at how these business districts are doing and how they are poised to address today's challenges. Business improvement districts have several characteristics that differ from other community development and main street revitalization tools. They operate in a clearly delineated area within which property owners and/or merchants are subject to a tax or fee assessed under city tax authority. BIDs are established locally according to state enabling legislation. They operate as nonprofit 501(c)(4) organizations, public-private partnerships, or city agencies. They bring special skills and services to downtowns that local governments are unable to provide. 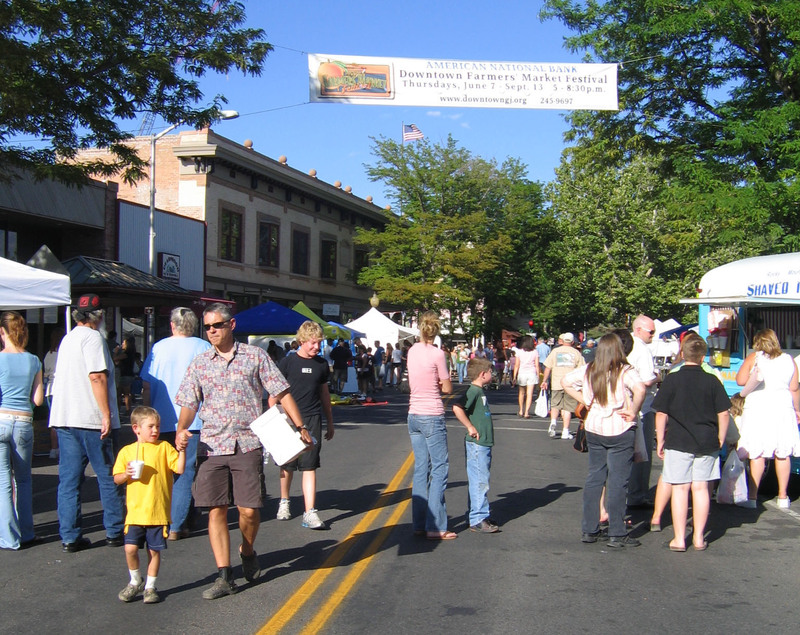 Every Thursday evening during summer, downtown Grand Junction, Colorado, is home to a lively farmers market. 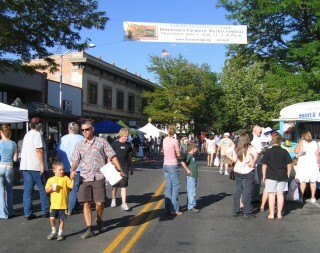 It is sponsored by the Grand Junction Downtown Partnership, which includes a BID established in 2005 to fund marketing, promotions, public relations, advertising and special events. Today there are an estimated 800 downtown business districts in the United States in communities ranging in population from 1,000 to over 8 million. Some cities have multiple BIDs, each geared to a different neighborhood or commercial center. All states, except Wyoming, have legislation enabling BIDs. Within broad legislative parameters of promoting and marketing downtowns and making them clean and safe, BIDs have undertaken creative approaches to downtown revitalization, and have been credited with many downtown turn-arounds. When BIDs were first formed in the 1970s and 1980s their primary activities were removing litter, making the streets safe again, and boosting local businesses. Over the years BIDs have expanded the scope of their activities to include: promotion of their unique settings and historic architecture; installation of parks, benches, and street lighting; and holding special events. As strong advocates for downtowns, BIDs pressure local governments for services and help to change the rules to make these areas better places to live and work. article continues with look at: 1. The Changing Retail Environment; 2. Problem Behaviors; 3. Graffiti; 4. Residential Growth in the Downtown; 5. Transportation Challenges; and 6. New Advances in Promotion.